With the rapid growth in air traffic and a resulting need to ensure our airspace is managed as safety and efficiently as possible, Australia is at the forefront of a navigation modernisation effort to transition pilots from using ground-based navigation aids to satellite as their primary means of navigation. Mandated by the Civil Aviation Safety Authority (CASA) since 4 February 2016, all aircraft operating under Instrument Flight Rules (IFR) are required to navigate primarily using satellite-based means within Australian airspace. In accordance with the CASA mandate, Airservices is redesigning some of its landing approaches at airports around the country to ensure we continue to have the safest and most efficient air traffic management system possible, meeting the expectations of airspace users and the travelling public into the future. 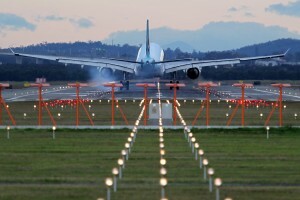 Landing procedures are being updated at over 50 airports across Australia by 2018.